Itʼs Friday and I have some favorites to share with you! On of my favorite things about summer is all of the fresh fruit that arrives at my local fruit and vegetable stand. I enjoy fruit salad, fresh fruit milkshakes, desserts using fresh fruit or just eating a piece of fresh fruit. This week I came across a FREE Fruit and Sunshine recipe book by Sun-maid with 17 recipes. I canʼt wait to get mine in the mail and try out some new fresh fruit recipes. Lately both my sinks and toilets have been attacked with those icky rings - doesnʼt seem to matter how hard I scrub they were still there UNTIL I found this new-to-me cleaning tool. Earthstone bathroom stone at Wal-Mart. Yes, my rings are gone after a little scrubbing. Earthstone products are great for heavy duty cleaning and scrubbing. They easily clean even the toughest hard water, soap scum and mildew on porcelain or tile and grout. With the upcoming summer months and many of you traveling and looking for some great travel deals, I thought I would share a website my husband found that searches the travel sites all at once, giving you the best rates. He says it is really cool - http://www.kayak.com/. My world traveling mom also highly recommends this site. My friend Shera, better known to her blog readers as Frog Mom, has a fabulous blog called Froggy Reviews - http://www.froggyreviews.com/, filled with daily product reviews, contests, shopping and much more. You can subscribe and get the Froggy Review updates sent right to your in-box. WIN this week’s featured cookbook, Jyl Steinback’s “Super Market Gourmet”, by leaving a comment on this blog or emailing me at trisha@247moms.com with your name, email address and your FAVORITE cookbook. - Drawing to be held June 1, 2008. It’s Tuesday and time for more thrifty finds! 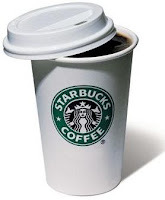 Do you have an addiction? I think ONE of my many addictions is to magazine subscriptions (inherited from my mom) . I subscribe to a handful - or should I say a mailbox full - of magazines each month. As I read them I tear out those recipes, ideas and coupons, convincing myself this addiction pays for itself with all the money I save in coupons and ideas. Over the years I have found some frugal ways to stretch the mighty dollar when it comes to my magazine subscription addiction. Shop online for subscriptions : I check Best Deals Magazines for their featured $4.69 magazine offers throughout the year. I also recieve a weekly email with additional featured specials. I have purchased several gift subscriptions from this site as well. Special Offers: I watch for offers allowing me to receive 1 or 2 free trial issues. This gives me an opportunity to check out the magazine. I also watch for offers where I can buy 2 or 3 years for the price of 1 year. 2. Try 2 free trial issues of ALL YOU magazine. 3. Better Homes and Gardens - Three years for the price of one. 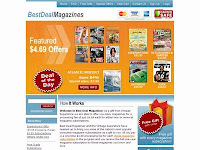 FREEbie Magazines: I search for free magazine subscription offers at all Free Magazines. These are a few ways I am able to support my magazine subscription addiction and stretch the mighty dollar. Being a busy MOM of 5 kiddos, my #1 can't live without MOM tool would be my planner/calendar binder. I have it filled with a variety of fillers. My favorite ones are from The Busy Woman – they are perfect for this busy MOM. Right now The Busy Woman is having a MOVING sale - 75% off their products. NOW that’s what I call a Shopping Bargain! Go check out this amazing shopping bargain at http://www.thebusywoman.com/. Can you say “ REAL SAVINGS - REAL SIMPLE”? That is exactly what the Short Cuts grocery coupon program is all about. No printing, no remember to bring my coupons to the store with me. I just log on to http://www.shortcuts.com/ choose the coupon savings I want, and they link the coupons directly to my chosen grocery store shopping/savings card. So, when I check out at my local grocery store my coupons automatically are deducted after I swipe my card. I agree with their slogan "REAL SAVINGS -REAL SIMPLE". I had to register at the site and choose a grocery store. Not all grocery stores are part of the program, but there is a good list available. I was able to choose QFC as we have 2 of them in our little city of Gig Harbor. This week I found these great coupons and linked them to my QFC shopping card. I am ready for the savings to begin! Comment and share your thrifty finds with the 24/7 MOMS. Fresh and Simple are two words that inspire me to purchase products to create mealsfor my family. So,when asked by Mom Central to participate in Ragu’s new Fresh and Simple pasta sauce pouches blog tour, it was a fast and simple YES! Not only am I a carb-oholic who would be happy eating pasta and pizza evey night, I also look for every opportunity to create simple, fresh meals for my family. It just doesn’t get any simpler than this. Three easy steps: Clip it (to vent), Pop it (in microwave), Pour it (on pasta) - all in 90 seconds. Ragu’s new Fresh & Simple pasta pouches come in three varieties: garden vegetable, traditional tomato basil (my favorite), and tomato, onion, and garlic. The microwavable pouches heat up in 90 seconds, and there’s no messy pot to wash. There’s no added sugar, and just like the traditional Ragú Sauces, no artificial additives or preservatives. You also get a full serving of vegetables in each 1/2 cup of sauce. Ragu also has a great website full of recipe ideas in which I quickly found two that will be perfect to try on my family. Maybe your family would enjoy them as well. Toss hot cooked rotini pasta with Ragú® Fresh & Simple™ (heated according to pouch directions), rotisserie chicken, veggies and mozzarella cheese. Sometimes playing with your food makes total sense, so we love these cheesy cupcakes. 1. Preheat oven to 375°. Grease 12-cup muffin pan; set aside. 2. In large bowl, combine spaghetti, eggs, Parmesan cheese and pepper. Evenly press into muffin cups to form a crust. Evenly top each cup with Pasta Sauce, then mozzarella cheese. 3. Bake 15 minutes or until bubbling. Let stand 5 minutes before serving. TWO Freebies: The Ragu website features a helpful, FREE Ragu® Recipe Widget tool that enables you to get fast, wholesome meals five days a week at your fingertips. 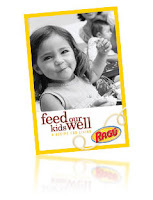 For a FREE recipe book filled with great meal ideas from Ragu’s expert panel, visit Feedourkidswell.com , click FREE stuff to get your 34 page booklet. Who doesn't love FREE offers? - here are this months 7 FREEbie offers. Email me at trisha@247moms.com and tell me your FAVORITE can’t live with out it MOM Tool (product) and you will be entered to win a chance for your own package of BOOGIE wipes to review for the 24/7 MOMS. - Drawing to be held June 1, 2008. MOM Says - Help us decide on the new 24/7 MOMS logo. Take our 1 minute survey to vote and you could win a $10 Cold Stone Creamery gift card. 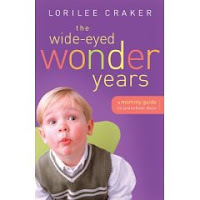 To enter for a chance to review a FREE book, send an email to momsview@247moms.com and tell us your favorite MOM book. Include your name and email address. - Drawing will be held June 20, 2008. This month's product review opportunity is a set of TruKid products - the only natural and organic body, hair and skin care line created specifically for kids. Win this great set of TruKid products by sending an email to momsview@247moms.com and tell us your favorite MOM product. Include your name and email address. - Drawing will be held June 20, 2008. So NOW you might be wondering what is a Blog Tour: A Blog Tour, also known as a Blour is when 24/7 MOMS will offer a specific product to potential Bloggers in exchange for a written blog review on a specific date - think of it like a concert tour the product being reviewed will go on a tour NOT literally but virtually. Each Blogger will be given the product to review and of course to keep as a Thank you. This Months Blog tour offer is the momAgenda - If you would like the opportunity to review the desk top momAgenda and post a review on your blog, email Trisha@247moms.com with your name and Blog URL (address) for a possible opportunity to be on the FIRST 24/7 MOMS blog tour. Be sure to join the 24/7 MOMS Blog Roll today - email your blog URL ( address) to Team@247moms.com . 24/7 MOMS uses the Random Number Generator for all random drawing contest. My favorite pieces of jewelry I wear are NOT expensive diamonds. They are pieces that represent Me. Today as I was visiting Simple Mom I came across a blog post sharing about Lisa Leonard Designs, who creates amazing jewelry. I instantly clicked to her site to see all that she had to offer. The best part is right now at Simple Mom there is a contest to WIN a handcrafted “tiny squares” necklace (shown at left) by Lisa Leonard Designs with whatever words you want imprinted on the squares. This piece of jewelry is valued at $46. So go to Simple Mom now and enter for your chance to WIN. Also be sure to check out more of Lisa’s designs. 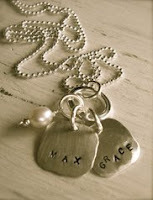 Do you have a favorite jewelry company? Comment and share it with the 24/7 MOMS. I have some FUN Friday Favorites to share with you – Comment back and share your Friday Favorites! Every other month I patiently wait for my copy of Today’s Christian Women to arrive in my mail box. I faithfully read it cover to cover . It is full of great articles, the latest new recommended books to read, new music artists and so much more. I feel so in the KNOW after I have read my bi-monthly copy. I found a GREAT subscription rate for you - $7.18 for a one year subscription at MagazineMasters.com using discount code SH60. I felt like I was 6 years old again when I took my first bite of this new flavor of ice cream by Tillamook. While at the grocery store this week I spotted Tillamook’s new featured flavor - Bubble Gum. So, of course, having 5 kids I knew they would think I was the coolest mom if I bought it ( not that I wanted any). So, into the basket it went . I am a CLEAN freak which makes me not a happy wife when I walk into the bathroom and find my awesome husband's toenails flying through my bathroom as he sits on the edge of the tub clipping away. Some how the toenail clippers mysteriously disappeared (honestly, I did not hide them), so he asked me to pick up a new one at Target. This week, while on my weekly Target trip, I found the PERFECT toe nail clippers for the clean freak wife – Revlon’s Toenail clippers with a clippings catcher. Happy Clean Freak Wife, Happy Toenail Clipping Husband. They are FREE, inspiring, quick to read, and thought provoking. Our Queen of Drama (Savannah) performed this past weekend in Guys and Dolls at our local Gig Harbor Paradise Theatre. WOW - what a great show these Triple Threat students put on. The equality of acting and singing was amazing. Our Drama Queen never stops to amaze us with her ability to get up in front of a crowd and act, sing and dance. However, she is also like her Dad - always ready to move on to the next adventure in life and make a whole new batch of friends along the way. 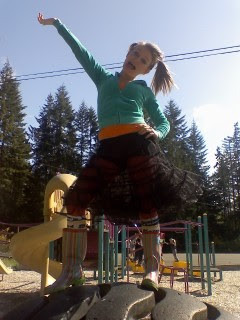 So, next week she will be trying out for the Gig Harbor High School cheer squad. I think I am more nervous for her than she is. Time Saver: Become addicted to WRITING it down. - Create MASTER To Do, To Go and To Call lists for all areas of your life. The MAY 2008 24/7 MOMS E-News was sent out TODAY – did your copy arrive in your inbox? If you did not get this months E-News filled with the latest 24/7 MOMS news – Send us an email to trisha@247moms.com we will quickly send you a copy so that you are in the MOM Know. Anita Renfroe’s MOM Sense song brought laughter across the world, many of us sat at our computers clicking the play button over and over again Laughing Out Loud - Then we forwarded this hilarious email video to EVERY mom who we felt needed a Laughing Out Loud moment in her day. Which resulted in Anita receiving emails from all over the country but the MOST surprising emails were from the men who were feeling left out , so Anita has answered the DADS plea with their own version called "Dad Sense". Watch the below video clip for another session of Laughing Out Loud. I could easily get addicted to searching for these weekly bargains, coupon finds, resources and freebies to share with you. I was a born cheapskate, with Scottish blood in me. My great-grandmother, grandmother and mother all influenced me to be a bargain shopper - “Never pay FULL price for anything,” was their saying. My bargain shopping career began about the same time I began reading with clipping coupons out of newspapers and mailing away for freebies and hasn’t stopped yet. Are you a bargain shopper? Email me at trisha@247moms.com and share your thrifty ideas that can be used in future 24/7 MOMS publications. If you were to ask me for ONE marriage tip on growing a strong marriage I would say “NEVER stop dating the man you married.” Weekly my husband and I do our best to have a date night – Dinner together without the kids, adult uninterrupted conversation, just the two of us. Now this can get a little pricey when you begin adding up child care and dinner out, so over the years we have found creative ways to stretch the mighty dollar to make it possible for us to have our date nights. One way we have done this has been to purchase an Entertainment coupon book each year, which gives us opportunities to eat at a variety of restaurants at discounted prices – buy one, get one free meals. Right now you can purchase these great savings books for $9.99 each, regularly priced at $25.00 (most Entertainment Books expire November 1, 2008). You will also receive discounts on shopping, travel and entertainment, so these books pay for themselves quickly once you begin using the great money savings coupons. Another money-saving lesson I learned growing up was buying ahead while things were on clearance and on sale. So I often search Amazon toy clearance to see what great deals I can find. Here is a little sample of what I found this week at http://www.amazon..com/ - save up to 70% off select toys. When I am searching for an item I often search Amazon first to see if there is a sale that week. You can also receive FREE shipping on qualifying Amazon purchases of $25.00 or more. I found another great place to print coupons for both my grocery shopping and Target shopping http://www.mysavings.com/ They offer printable coupons. Today I found these, plus many more. 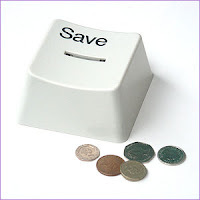 Be sure to check out The My Savings web site often for new coupon offers. Don't forget email me at trisha@247moms.com with your THRIFTY ideas or leave us a comment and share with the 24/7 MOMS. Come back next week for your chance to WIN a Thrifty Money saving book. Do you strive to be “America’s Healthiest Mom”, trying to prepare quick, simple, delicious and HEALTHY meals for your family? Cookbook Author Jyl Steinback has GREAT recipes in her cookbook “Supermarket Gourmet” – extraordinary recipes, made from ordinary ingredients, to assist us in being healthy cooking moms. Not only will you find healthy recipes in her cookbook, but recipes that will save us time and money. So be sure to enter for your chance to WIN this week's featured cookbook (details below). Our weekly Let’s Make a Meal recipe from Jyle Steinback's “Super Market Gourmet”, is one of Nate-no’s favorite meals - Meat Loaf. My little guy loves meat loaf so much that he affectionately calls it Meat Love. This is also another easy Feed the Freezer recipe (see Trisha’s tip). Preheat oven to 350°. Spray a 9x5 loaf pan with cooking spray. Combine bread crumbs and 1½ cups of the pasta sauce in a large bowl. Add beef and mix until ingredients are well combined. Press mixture into loaf pan; bake uncovered 1 hour. Spread remaining pasta sauce over top and cook 30 minutes, until meat loaf is completely cooked through. Jyl’s Tip: you can substitute extra-lean ground turkey for beef, crushed croutons for bread crumbs, and/or your favorite pasta sauce for the roasted tomato and garlic variety. Trisha’s Tip: I make individual LARGE meat (loaf) balls, and then use my cup cake tin to bake them. I also freeze them (un-cooked) in pre-formed meat (loaf) balls, so that when I am preparing a meal I can take out of my freezer the number of meat (loaf) balls that I need depending on the number of people I am serving. WIN this week’s featured cookbook, Jyl Steinback’s “Super Market Gourmet”, by leaving a comment on this blog or emailing me at trisha@247moms.com with your name, email address and your FAVORITE cookbook. Drawing to be held June 1, 2008 (24/7 MOMS uses the random number generator to select its contest winners). Have you tried the The new Wild Animal Crunch cereal by Kellogg’s ? WOW - is the best way to describe it, my youngest child Nate just can not get enough of this new yummy cereal. I was given the opportunity or should I say Nate was given the opportunity o try out a box of his cereal by MOM Central http://www.momcentral.com/ and Kellogg’s http://www.kellogs.com/ and it was well worth their time and effort to send us a BOX Nate not only began devouring it but also invited one of the neighbor kids to taste it, and of course he TOO loved it- I even caught him sneaking in the kitchen to snag another handful. So, my little guy is already a WOM advertiser ( word of mouth). Nate’s first response after one bite was WOW this is sooooo good - if he were writing this blog he would probably tell you to run to the store and buy your kids their very own box and if you happen to have some extra money please buy him another box to. 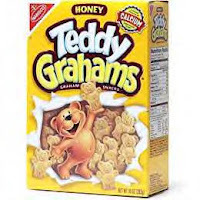 Freebies 4 mom shared a yummy freebie this week a free sample of Teddy Grahams. This week’s blog is definitely one that I subscribe to and receive updates in my in-box. 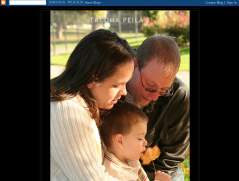 The author and creator is my good friend and one of our very own 24/7 MOMS Team leaders - Tanya Peila http://www.tanyapeila.blogspot.com/ . 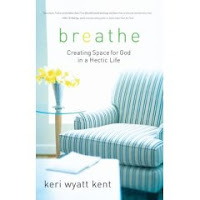 She is a very talented lady both in her photography, graphics and her fun writing style. You too can join and get her daily updates. My #1 Son ( Stephen Jr.) turned 19 TODAY sniff sniff…Yes I have officially been on the mom journey for 19 years – and I can now honestly say that he words of those women who told me they would grow up faster then I could imagine were RIGHT – oh I remember thinking the days are NOT going fast enough will he ever be potty trained, will he ever sleep thru a night, will he ever get rid of the binkie ( he was 4) - I do remember saying he would accomplish all these things before he leaves for college and I was RIGHT. #1 Son will be graduating for High School on June 15th and leave in the Fall to attend Western Washington University – fully potty trained, sleeping through the night with NO binkie..I DID IT I survived …..The question is did he survive me? “Seasons of Love” from the musical RENT is a song that makes me stop and ask myself how am I spending my time as a Mom, Wife and Friend? How am I spending my 525,600 minutes each year? Do I stop what I am doing when my #1 Son calls and wants to meet for lunch? Am I too busy to stop and have spontaneous fun with my kids ? Is my calendar to full that I cant find time to have lunch with a girlfriend? Do I set time a side to still Date my husband ? I am sure we could all use a reminder to STOP and evaluate how we are spending the 525,600 minutes we have each year . Ask yourself Am I making a difference in the lives of others ? What is REALLY important? Is my calendar to FULL? What can I delete out of my busy life? How do I measure the legacy that I am leaving behind ?